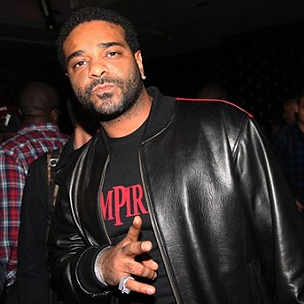 Harlem, New York rapper Jim Jones was arrested earlier today near his home in Fair Lawn, New Jersey. According to a report from the Fair Lawn-Saddle Brook Patch, the Diplomats alum was arrested earlier today outside his New Jersey home. Jones was apparently charged with disorderly conduct and obstruction involving two outstanding warrants for his arrest. Sgt. James Corcoran was responding to a parking complaint over Jones’ snowbound vehicle, which was illegally parked in front of his residence. After Jones approached the officer, Sgt. Corcoran ran his name through a police database and found two warrants for his arrest involving an auto vehicle violation and failure to remove snow from his sidewalk. The report indicates that Jones “got out of line” with the officer, denying the warrants’ existence and refusing to travel to the police headquarters to settle the warrants. As a result, the Dipset emcee was taken into police custody. Lt. Derek Bastinck of the Fair Lawn Police Department explained that residents with outstanding warrants of this nature are given the chance to comply with police and pay the necessary fines at the station. If they refuse, however, they are to be taken into police custody. “If [people with oustanding warrants] agree, we’ll just have them come down and pay what they owe, but if they don’t agree, they’re placed under arrest,” Bastinck said. This isn’t the first time Jim Jones has been arrested for an auto-related issue. Last February, the rapper was arrested for driving with a suspended drivers liscense in New York City.